Learn how to use a guitar tuner the right way so you can't break strings! This little trick will save you hours of frustration ! Reading tablature is simple but you can still sound like a robot, Paul explains how rhythm can be applied to tab and how to get the most from it. This will escalate your learning 10 fold - A must see! 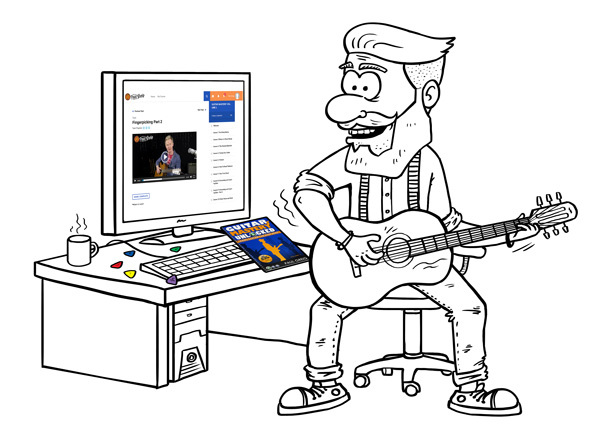 You will get instant access to over 20 Video Lessons taken from Guitar Mastery Unlocked ...a course that has helped thousands of folks get started playing the guitar!